Flipp is a free app that aggregates all the weekly shopping circulars for your area. Just enter your ZIP code (or let the app determine your location) and it'll find all your local stores. Here in metro Detroit, for example, it produced a whopping 75 flyers -- all of them scanlike replicas of the real thing. While you're browsing ads, you can double-tap to zoom in, tap once to "clip" an item (which gets circled in virtual ink, a nice touch), and earmark any store as a favorite for easier browsing later. The coolest feature by far, however, is the discount slider, which you can use to highlight items on sale and items with the largest discounts. As you slide it, you'll see matching items light up while nonmatching stuff retreats to a darkened background. 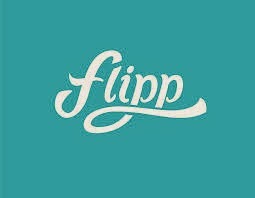 Flipp is currently available for iOS, with an Android version due in early 2014. If you have multiple iOS devices running iOS 7, the app can sync your clips and favorites across them. That's great for, say, browsing on your nice, roomy iPad, then referring to your clips while you're out shopping with your iPhone.